A fight between Arizona water agencies could impact California, why the state won’t put bond money toward San Diego’s water recycling plant and more in our biweekly roundup of environmental news. On paper, San Diego Gas & Electric says it supports the city of San Diego’s ambitious plan to fight climate change. 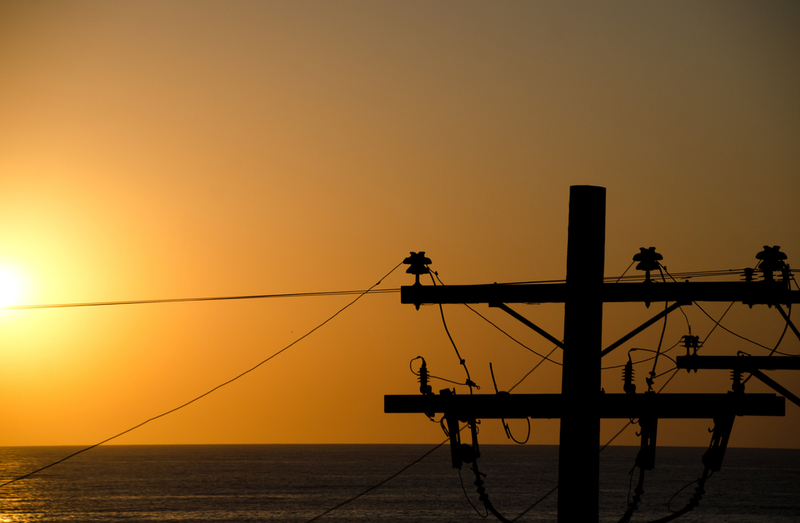 In practice, SDG&E and its parent company, Sempra Energy, seem intent on undermining it. In 2015, the City Council approved the Climate Action Plan, which is designed to cut in half the amount of greenhouse gases the city releases. That depends, in part, on providing city power customers with 100 percent green energy by 2035. SDG&E has repeatedly said it supports the plan, which is backed by Mayor Kevin Faulconer and something he’s repeatedly mentioned in major speeches and for which he’s received glowing attention. But sometimes a company’s actions speak louder than its words. There are two ways to make the plan work. SDG&E can radically change how it does business by switching to green power sources. Or, the city can enter the energy market itself and sell the green energy that SDG&E won’t. Sempra formed a special lobbying department, called Sempra Services, to attack the city’s efforts to enter the power market, citing potential risk to taxpayers and the public. That means Sempra seemingly opposes one route to making the mayor’s vision a reality. SDG&E said last fall it was willing to go the other route, by changing how it does businesses. But when the city hired someone to study the company’s offer, it found that SDG&E’s plan raised more questions than it answered and offered little or no information about the risks to the city and ratepayers. Finally, without mincing words, the study found SDG&E’s offer could well threaten the Climate Action Plan. That means SDG&E seems so far unwilling to make the other route a reality. Both Sempra’s lobbying department and SDG&E claim they have no idea what the other is doing – they are forbidden from coordinating. Nicole Capretz, an environmental activist who helped pass the climate action plan, said Sempra doesn’t have much interest in helping Faulconer secure his legacy as mayor. “In my opinion, they are attacking the mayor – this is one of the hallmarks of the mayor’s tenure, if not the hallmark,” she said. Ben Boyce, a spokesman for Sempra Services, said the company “applauds” the mayor’s environmental efforts, but “hard-working San Diegans also deserve an honest discussion” about the plan. Sempra argues there are scenarios under which the government could enter the energy market and end up raising rates for people outside the city without actually increasing the amount of green energy produced. There are legitimate questions about the ability of SDG&E to cheaply and reliability abandon gas-fired power, there are legitimate questions about the wisdom of the city entering the energy market and there are also legitimate questions about whether the city should be trying to do so much on its own to fight climate change. But these are questions that directly challenge the purpose and substance of the Climate Action Plan, which SDG&E says it supports. At this point, the accumulation of Sempra’s actions are a direct challenge to the logic of the plan. But the company seems unwilling to acknowledge that. The Colorado River provides water to 40 million people in the United States and Mexico, and it’s the source of most of San Diego’s water in any given year. In the past, the division of water between states has required acts of Congress to settle or prompted litigation that dragged on over for a decade. Since one of the major cases, Arizona v. California, technocrats at various western water agencies have tried to settle disputes by negotiating amongst themselves instead of leaving things in the hands of judges or politicians. Those years of quiet diplomacy may have worn thin in recent weeks. Surprisingly, this isn’t because of the notoriously contentious water politics within California but because of internal politics in Arizona. Arizona has two major water agencies. One of them, the Central Arizona Project, has been brazenly talking about trying to use as much water from the river as possible. That runs counter to the goals of the other major player in the state, the Arizona Department of Water Resources, which has been trying to negotiate deals with its neighbors in California and Nevada to share the river. The Central Arizona Project’s talk has now managed to offend water officials in several other states along the river. Staff at the state Water Commission, tasked with handing out $2.7 billion from a 2014 water bond, are still unwilling to fund a water recycling plant in the city of San Diego. Earlier this month, commission staff concluded that the recycling plant would have no public benefit – a conclusion that rested largely on a parochial definition of “benefit” that revolves around things that help water supply and quality in Northern California. The city appealed that decision but lost. That said, the city may have one more shot to persuade the commission to pony up money in coming weeks. My colleague Maya Srikrishnan looked at how a local nonprofit is monitoring air quality in San Ysidro, which seems to have poor air because of all the cross-border traffic. A similar thing is happening in Imperial County, where air quality has also long been a concern but neighborhoods felt regulators hadn’t been doing enough. A local activist group, Citizens Against Sewage, wants the county to declare a state of emergency due to sewage coming across the border from Tijuana. The city has had a state of emergency in effect since 1993, to no effect.